This film had SPOT.ph movie critic Paul Daza on the edge of his seat in excitement. (SPOT.ph) Not having had the pleasure of reading the phenomenal bestseller on which it's based, I went into a screening of the highly-hyped The Hunger Games armed only with what the trailer revealed, and the knowledge that it was the most anticipated movie of the year. (Not even The Avengers was causing as many ripples of excitement.) After sitting through its 142 minutes, I'm glad and relieved to report that The Hunger Games is riveting from start to finish, an odyssey of survival that plays like a teen-aged, nightmarish mish-mash of The Truman Show and Gladiator. Powerfully acted, economically directed, and uniquely exciting, The Hunger Games is big-screen entertainment at its crowd-pleasing, voyeuristic best. Whether or not you've read the books, it's safe to say that you'll come out of the movie feeling that your P170 was well spent. 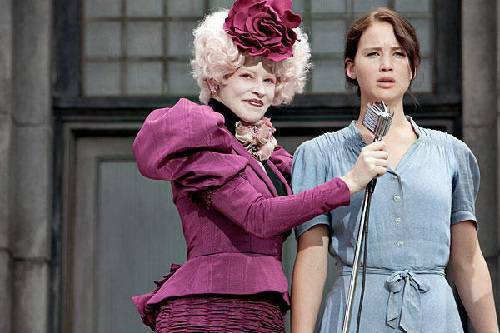 Set in a futuristic, dystopian North America, The Hunger Games is about a televised reality show where 12 male-female pairs from 12 districts are forced by the oppressive government (the Capitol) to kill one another for the honor of being the last one standing. The story's heroine is the steely Katniss (Jennifer Lawrence), who volunteers to be the female representative of the impoverished District 12 when her unlucky younger sister's name is drawn. 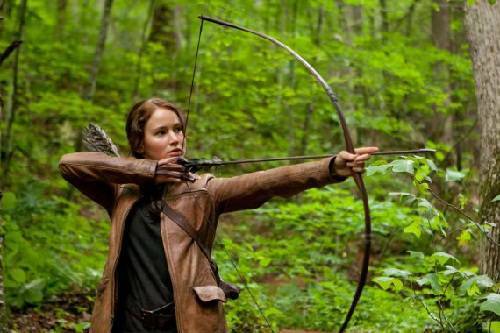 As Katniss (cool name!) tries to stay alive despite the alliances and literal backstabbing that's part and parcel of the gruesome Games, she's drawn to the charismatic Peeta (Josh Hutcherson), a boy from her district who has admitted to having a crush on her. 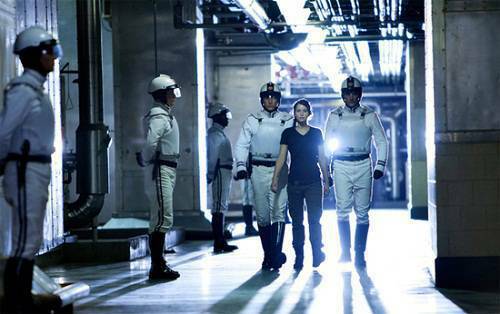 But as their relationship deepens, there's no ignoring one of the contest's rules: only one can survive the Games. As Katniss and Peeta, Jennifer Lawrence and Josh Hutcherson are superb, their attractive faces always readable but never fully transparent, so much so that we're never sure if they're as sincere as we want them to be. I thought it was marvelous that in two of the film's most romantic sequences, the viewer isn't quite sure if what Katniss and Peeta are conveying to one another is what they're truly feeling, or if they're just doing it for the TV cameras. More than any other element of the film, it's how Lawrence and Hutcherson portrayed their characters that has made me want to read the books, to read how the author describes them on the page. She volunteers for the Games to save her sister. As for the other characters, they do manage to make an impression despite having far less screen time than the two leads. As the guy who makes the Katniss-Peeta coupling a love triangle, hunky Gale (Liam Hemsworth) totally has the audience's sympathy in the shots where he turns his eyes away from the cruel, larger-than-life video monitors that show Katniss and Peeta's growing affection for one another. Also praiseworthy is Amandla Sternberg as Rue, the 12-year-old who bonds with Katniss in one of the film's best sequences. That the film's predominantly young cast emotes so splendidly is in no small part due to the unadorned efficiency of Gary Ross' direction, whose work on films like Pleasantville and Seabiscuit marked him as a filmmaker who is as good at telling emotional stories as he is at directing actors. In The Hunger Games, I liked how his jittery, NYPD Blue-inspired camera moves conveyed the sense that a "Big Brother" was always watching the characters as they went about their daily routine, whether or not they were on TV. However, it's when the youthful players ("tributes") are trying to outwit, outlast, and outlive one another during the Games that the film reveals its feverishly imaginative but twisted soul. The nasty "tracker jackers" sequence, the man-made forest fire, the shocking murders of young tributes at the hands of older contestants- these are scenes you won't easily forget. The Hunger Games was directed by Gary Ross. My only quibble? There's a shot during the Games telecast that's obviously the work of a cameraman running behind Katniss, even though she's clearly supposed to be alone in the scene. But hey, what's one shot among the thousands that make this the best movie launch of a book series since Harry Potter and The Sorcerer's Stone? Rating: 4.5 Spots out of 5 âÂ€¢âÂ€¢âÂ€¢âÂ€¢. Rep. Teddy Casiño pushes "Whistleblowers Protection and Rewards Act"